Pilgrim Storage provides everything you need to make your next move easy and affordable. If you’re in need of a moving truck, we have UHAUL moving trucks available for rent. 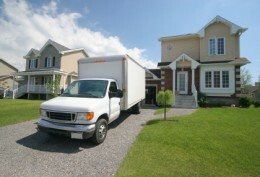 Trucks are able to be sized by how many rooms are in the home or office that you’re moving. We also supply tow dollies, car dollies, and trailers. Renting a moving truck from Pilgrim Storage Center is quick, convenient, and designed to make your move as simple as possible. Call one or email of our friendly staff members to reserve a truck!